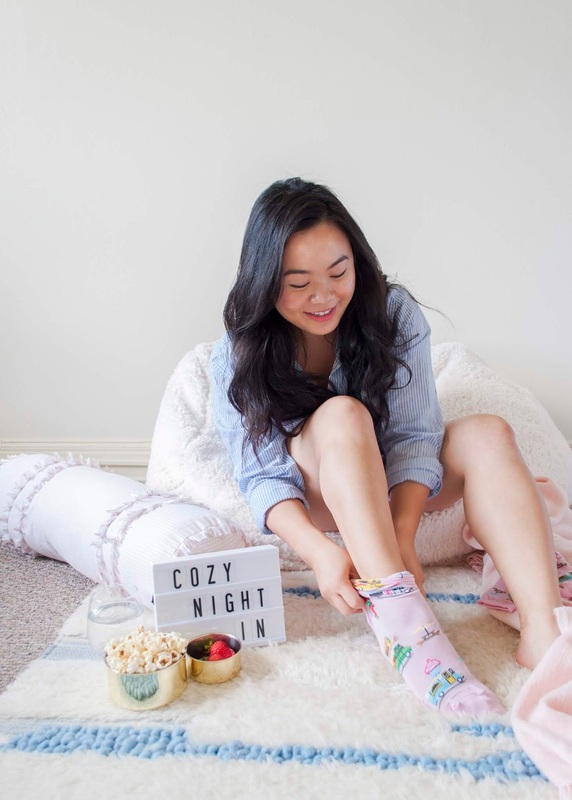 Nothing says “cozy” like soft blankets and comfy seating! 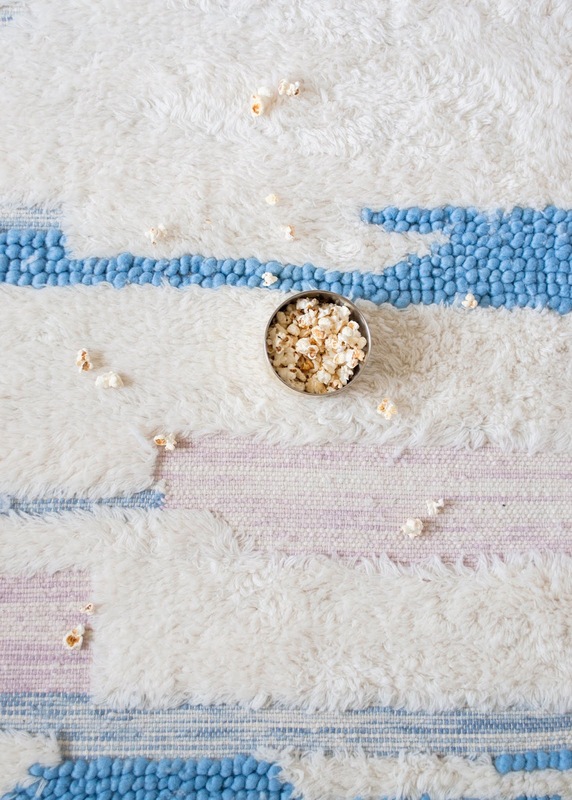 Choose your favorite blankets and pillows, and set them on the couch (or even the floor!) 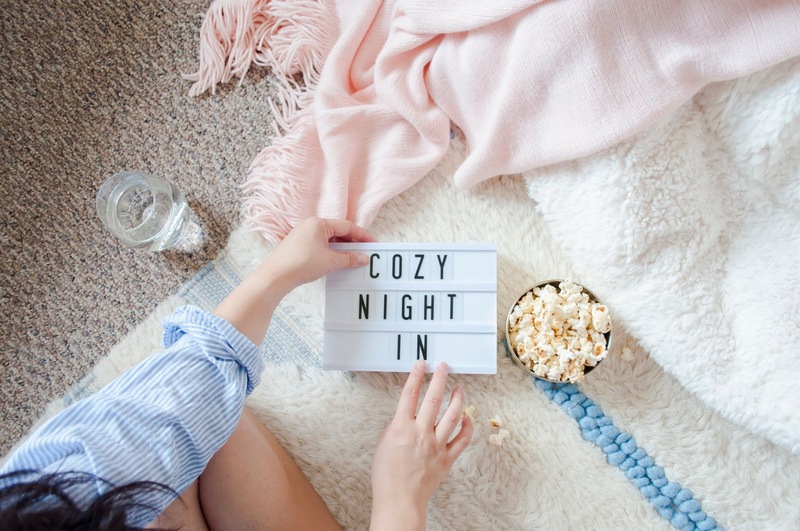 to create the coziest and comfiest DIY Movie Night. This Chic Fringe Throw is so soft and comes in lots of colors, but more importantly, it’s big enough to wrap myself in! 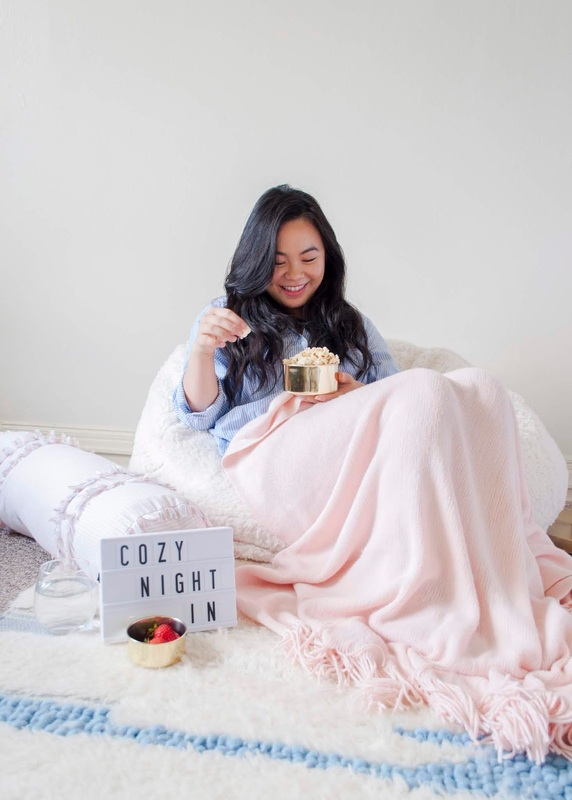 All my life, I’ve preferred sitting on the floor over being on a chair, so the Lily Ashwell Moroccan Rug and Ivory Sherpa Faux Fur Beanbag are my current favorites for laying and lounging around. I also love resting my head on this Fringe Bolster Pillow! 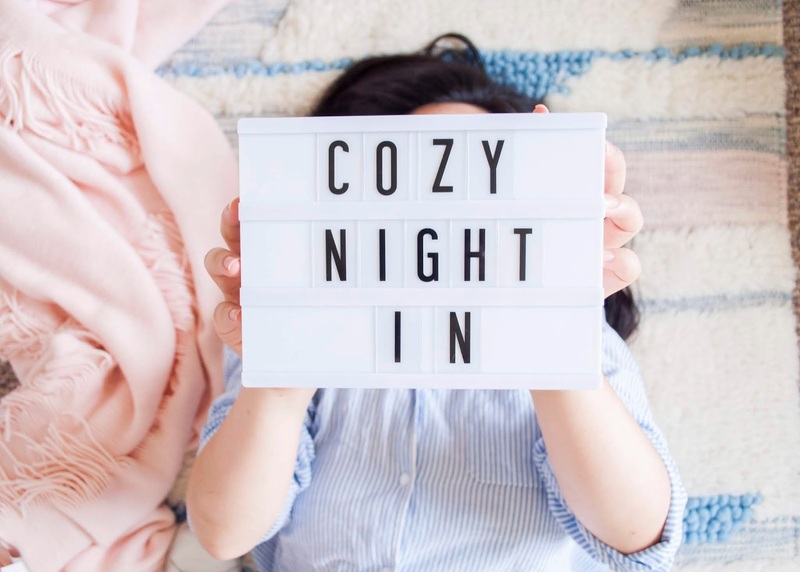 To make the night extra fun, this Mini Lightbox is perfect for displaying the movie you’re going to watch - especially if friends come over to join! 2. Put on something comfy and cozy. For me, this means some pretty matching jammies and socks! Wear anything that makes you feel comfortable and ready to lounge around. One of my favorite reasons to stay in and watch a movie is the fact you can wear anything you want - no judgment! 3. Set aside snacks...and napkins! Is anyone else super into snacks?! 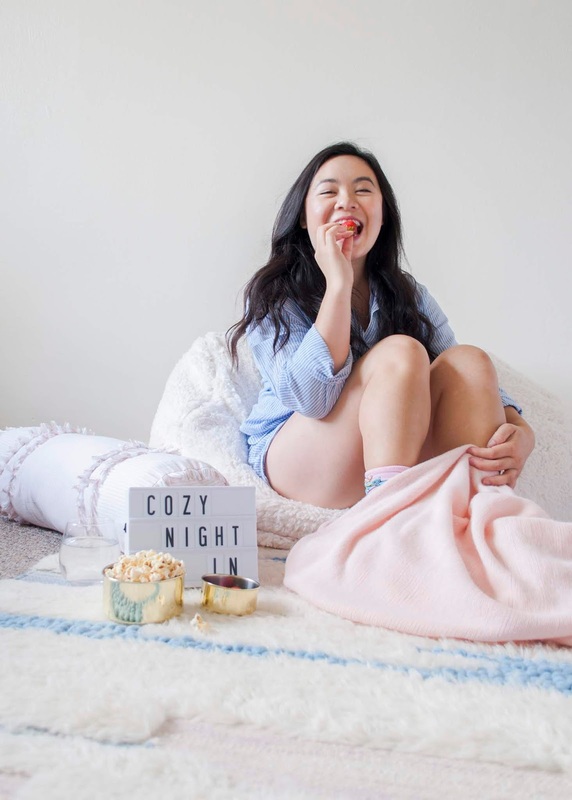 Microwaveable popcorn + a movie is a no-brainer, but I also love fruit, especially berries! Take your favorite snacks and portion them out in personal serving containers, so you and everyone get their own. These Stainless Steel Gold Containers double as storage containers (I’ve gotten so many compliments when I bring them for lunch!) for lunch or pretty serving bowls for your DIY Movie Night. Don’t forget napkins to avoid interrupting your screen time! 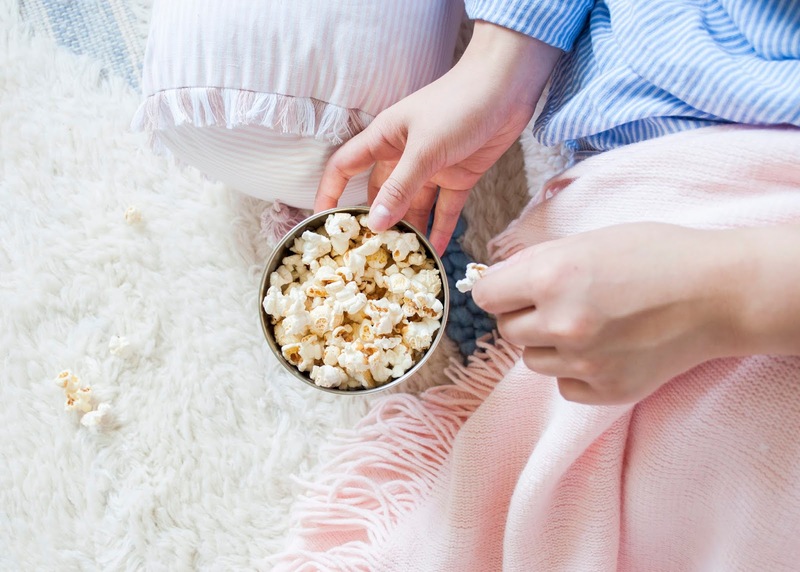 Do you prefer going out to watch movies or staying in? What’s next on your list of movies to watch?! Let me know in the comments!